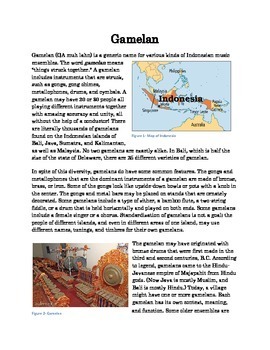 This is a three page reading about Indonesian Gamelan music targeted towards early and late middle school and junior high students. 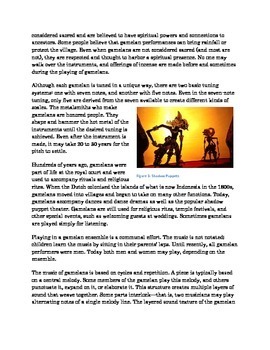 I've used this to help with a lesson and also as a sub plan activity. 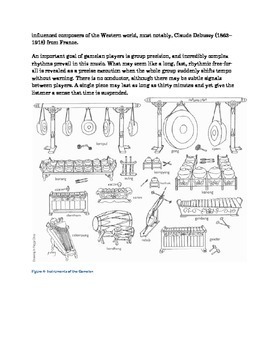 The reading includes diagrams about the origins of the Gamelan, how the instruments are made, how they are pitched and how they are used in Indonesian culture. 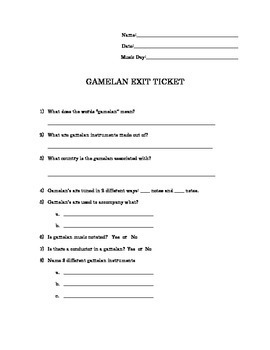 Page 4 is an exit ticket that can be used as an assessment.